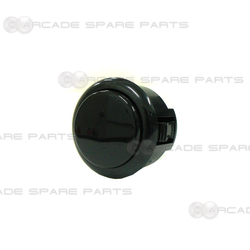 OBSFS-30 snap-in button is another quality arcade part from one of the best arcade parts manufacturers - Sanwa. 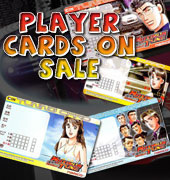 Sanwa button is widely used for buttons in Japanese cabinets like Blast City, Versus City, etc. It features a slightly convex plunger and snap-in installation (can be mounted in material with a thickness from 2 to 5 mm). Each Sanwa button contains a foam padding disc which cushions the impact of the plunger on the base of the button greatly, reducing the clicking sound significantly. With its fast reactive time and quick reset, Sanwa buttons are regarded as one of the best competition buttons on the market.